SHALL NOT RETURN TO ME. 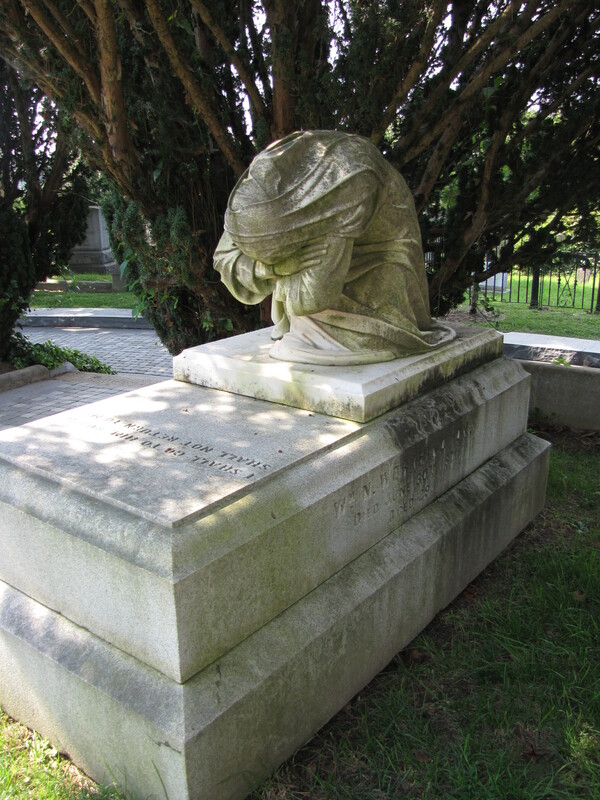 “Grief” is a statue designed by Edward V. Valentine for the William Worthington monument in the Hollywood Cemetery at Richmond, Virginia. Worthington was only 29 years old when he died. The statue was commissioned by his step father to commemorate his death and his mother’s deep sadness. 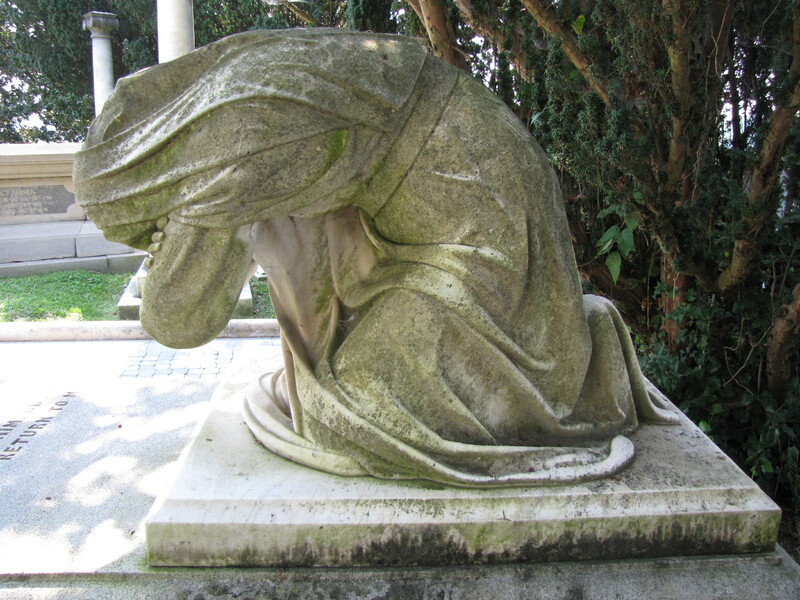 “It is a story of a woman’s grief—the grief of a mother over the death of her son, symbolized in a kneeling female figure, with arms folded and head bowed in the utter abandonment of self-communion.”* Even though, the grieving woman’s face is completely shrouded the statue conveys the anguish of the mother through the position of the body. This is one of the most powerful monuments I’ve seen. But then, there must be few things more powerful than a mother’s grief. This is one of the most beloved graves in Hollywood Cemetery. Eleanor, have you ever considered sharing the letters? I love reading the Friends of Hollywood Cemetery newsletter. Even just some less personal information about the letters would make an amazing story. Thank you for your comments. I hope you noticed that I responded to your comment and posted additional information about the names of the others in the Egan family listed on the monument. I also gave a nod to you and your blog, which is really cool. Aww, thanks so much! I appreciate that.